The week ending June 16th 2012 has been incredible for PS Vita sales. Compared to the previous week, the PS Vita has sold 56% more units around the world. 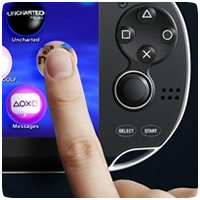 The PS Vita sold around 81,685 units according to VGChartz, compared to around 52,377 units the week before. PS Vita sales are still below that of the 3Ds, which sold a massive 143,036 units in the same week, but only showed an increase of 2%. The PSP sold 44,149 units in the same week, a reduction of 3%. The boost in PS Vita sales were down to Persona 4‘s release in Japan, which sold over 137,000 units in the first week, and Gravity Rush in North America (over 36,000 units sold) and Europe (over 23,000 units sold). Vita doesnt need a price cut, all it needs are a few good games. The main reason why Vita sales jumped is due to the release of Persona 4 in Japan and Gravity Rush in Europe. This Christmas the Vita will receive Little Big Planet, Sounds and Shapes, Assasins Creed 3 liberation, Call of Duty Black Ops Decassified and Soul Sacrifice in Japan and maybe Monster Hunter as well. I cant wait for all the Indie games too. With all respects to you guys at xtreme PS Vita for credibility’s sake please get your numbers from other sources and not vgchartz. You will be better off if you do that. NPD ain’t a good source either. I agree with you, the stats is BOGUS. Simple. probably due to the amazing special offers on the vita store. mod nation racers for £8.09!! i need to get paid before it goes back up in price!